Glencore will cut jobs at its Ravensworth underground coal mine, as it suspends production at the site. The miner announced today that it will stop production at the mine from September "due to the increasingly difficult economic conditions the mine is experiencing". A Glencore spokesperson stated that "continued operations were no longer financially viable due to combination of lower prices, higher production costs at the mine, a strong Australian dollar and geological constraints in future mining areas". The underground complex employs around 130 full time workers, and three contractors. It today told workers that 17 redundancies at the operation will come following the completion of the last longwall move, with redeployment options for the remaining workers being investigated. This announcement is the latest blow for workers in the region following Anglo American cutting jobs at its Drayton coal mine, and Lake Coal paring back staff at its Chain Valley operation. 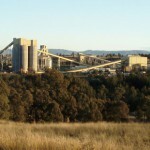 The NSW Minerals Council added that "the job losses announced today will add to the 1500 direct mining mining jobs lost in the Hunter over the last 18 months, placing further strain on communities and businesses in the Hunter who rely on mining". "Job losses of this scale in other sectors would prompt urgent government attention and even an assistance package of measures, but it seems the Hunter's miners have become the forgotten workers of NSW," NSWMC CEO Stephen Galilee said. 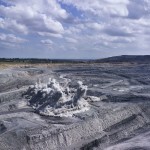 Echoing the complaints of Anglo American, who blamed a poor planning system for job cuts at Drayton, Galilee said "here in NSW the planning system is also broken, and ongoing regulatory uncertainty is making it more difficult for the industry to operate in the face of these global challenges". 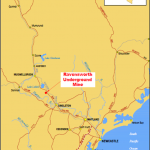 Mining at Ravensworth underground operations will finish following extraction of Longwall Block 9, after which it will be placed in care and maintenance, with a small workforce left in place to manage the mine. It is not known how this will affect open cut operations.